There's no bigger event on the planet than the Super Bowl. Until now. Lottoland's $1 billion* US Power Special Jackpot! Sports fans all over America will be going wild for the Super Bowl this week, but lottery fans all over Australia will have much more of a reason to get excited. To help celebrate the biggest sporting event on the planet, Lottoland is offering a series of special $1 billion* jackpots to all eligible customers. Fact: The official US Powerball jackpot has only been higher than this one time in history! We've compiled a list of our top five Super Bowl moments in history! Okay, so we may have made up the first three... But just imagine if your numbers came up and you won $1 billion*?! That would surely rank #1 in anyones list! When Do the Super Bowl Jackpot Draws Take Place? In the Super Bowl, teams only get one shot at glory. We think players deserve more than one shot, especially when the prize is so lucrative! Lottoland is giving you three separate chances to take home this HUGE prize! 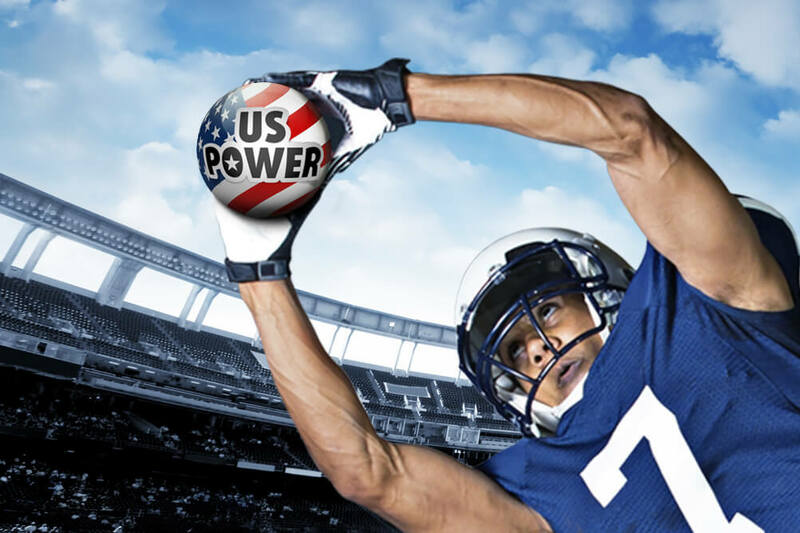 How Much Can I Win on the US Power Super Bowl Draws? The jackpots in all of these draws will be at least $1 billion AUD. Ridiculously higher than the current jackpot amount being offered in the official draw, or anywhere in the world for that matter! If your numbers come up, you'll surely be screaming "TOUCHDOWN!" Australian residents aged above 18 (excluding South Australia) can bet on the Super Bowl special jackpot draws at Lottoland. Submit your bets and pay! Why is Lottoland's Jackpot Higher Than the Official Draw? At Lottoland, you are placing a bet on the outcome of the official draw, not actually participating in the draw. It is for this reason that we are not restricted to what jackpot we can offer you. It's for this reason that this jackpot makes you double-take when you see it! It's ridiculously high! > What is a Special Jackpot? Did you know that one in five lottery jackpots are won by syndicates? The reason is that syndicates give you a much better chance of winning than a regular bet would! You can view our US Power syndicates below. Syndicates allow players to have a much larger number of bets for a fraction of what they would cost, in return they get a pre-determined percentage of the winnings. The best part is, you have a much higher chance of winning for an affordable cost! If you're too busy caught up in the actual Super Bowl, you don't need to worry. You can bet on these draws quickly and conveniently from your iPhone from the Lottoland app! Victorian Lady Wins 5 Jackpots in 3 Days!